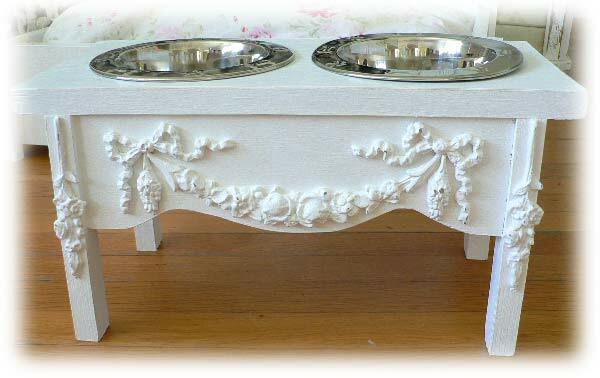 All of our Raised Pet Feeders are individually hand-crafted from solid wood in the U.S.A. Each one is hand painted, slightly distressed, and adorned with beautiful floral appliques. 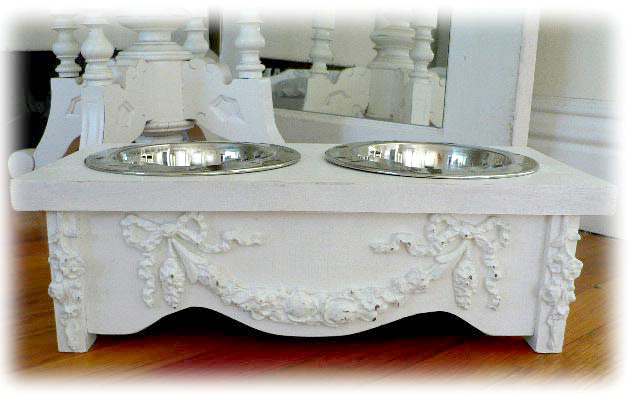 Each feeder includes 2 embossed stainless steel bowls, and come in three different heights. Custom sizes are available.